Shareable content drives creates awareness for your brand. If your content engages readers they will share it via their social accounts, email or word-of-mouth as a recom- mendation. Everyone is an influencer today! Content drives results from SEO. Google has made this important since 1998 when it launched. Content became, and still is, king since websites are content and being found relies on content. Content drives purchases. We base our decisions on online content when shopping online or researching for offline purchases. Syndicated content drives purchases. 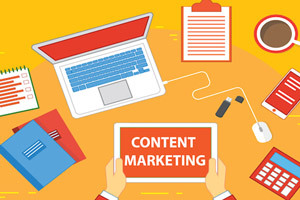 Content marketing strategy is much broader than your site though, and includes content on social networks, online publishers, com- parison sites, blogs and many other types of site which help engagement and influence sales. User generated content drives purchases. Buyer behaviour has changed, we now want to reference wider opinion from others like us about products and services, whether rat- ing sites, blogs or social networks – buyers dig out content to help their decision making. Content on a range of platforms drives purchases. The importance of the internet continues to increase as technology (especially smart phones and tablets) evolve and we evolve with them. Not sure where to start? Let us help you build a plan to reach your target audience and connect with your customers and prospects.